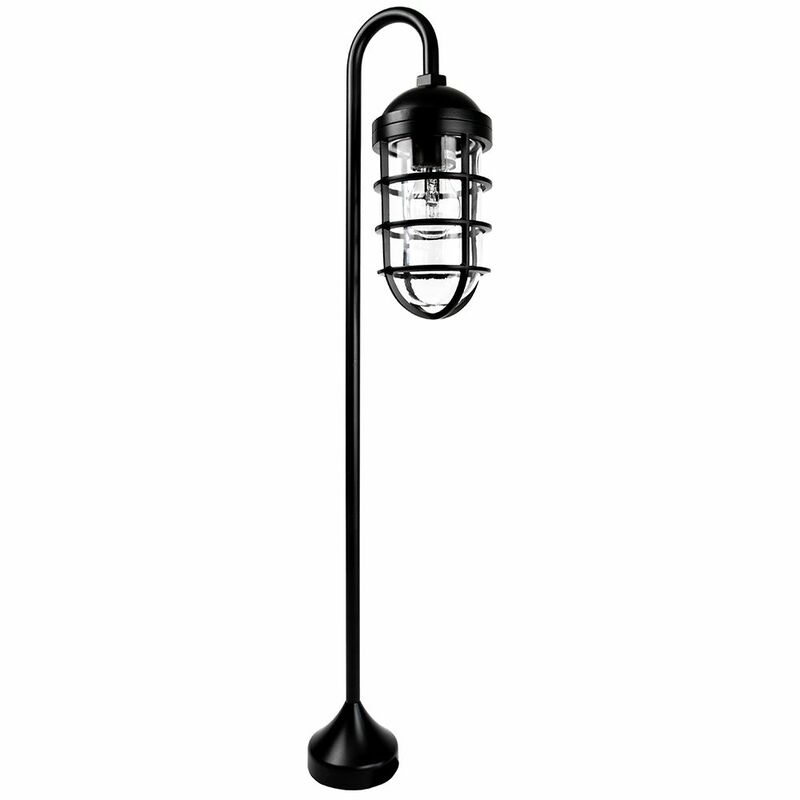 Unique and industrial styled die-cast aluminium outdoor IP44 post light fixture in a matt black finish. 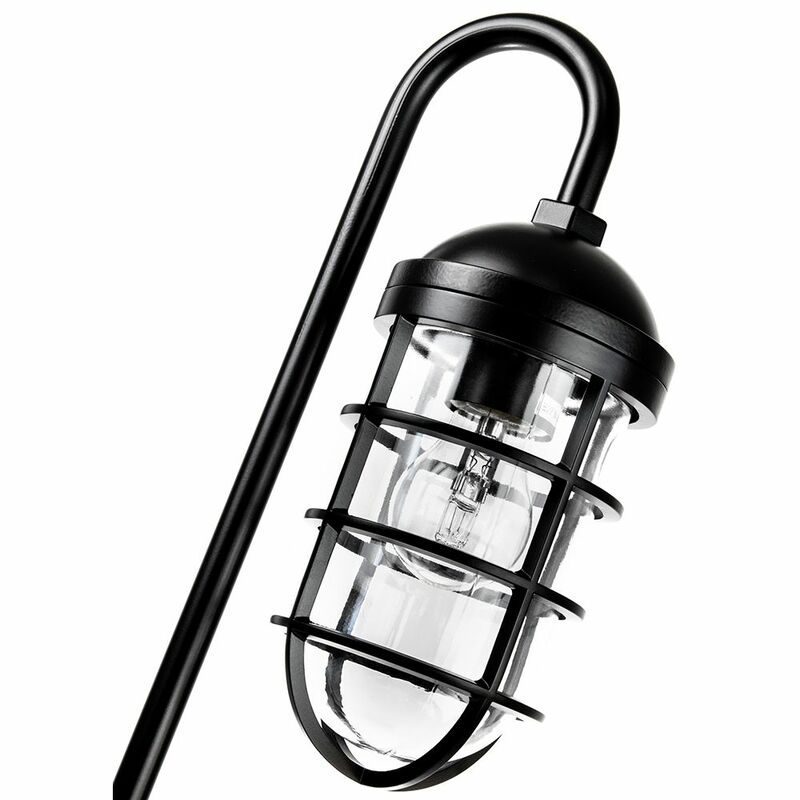 Features thick clear glass protector shade and looping stem. 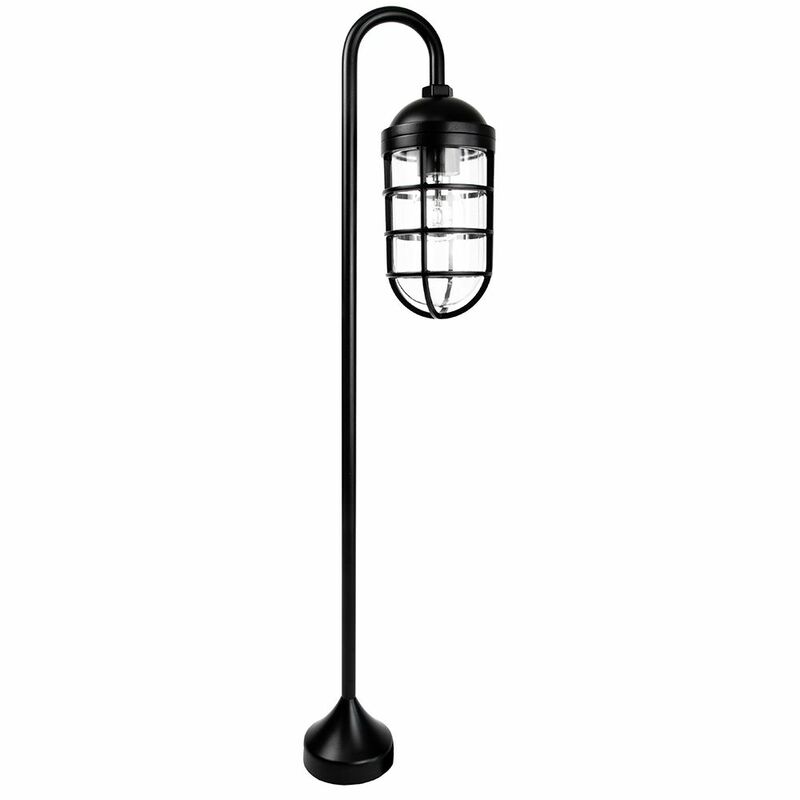 Total product measurements: Height: 80cm, Width: 12cm, Depth: 20cm.